There is a lot of blogging going on regarding the Leadville Trail 100 Run, so, instead of just rehashing much of it, we here at Inside Trail thought we’d roll out some back and forth commentary that is typical of the hours we spend in our respective “offices” researching and discussing with one another every day. We obviously would love to have some insight from readers following the event and participating in it. Looking at past results of racers to gauge ability is one thing but who knows exactly how an individual is feeling about his/her chances in the days leading up to the big event. Regardless, it’s still fun to discuss. From an altitude standpoint, Leadville is a monster, undoubtedly earning it’s inspiring nickname, “The Race Across the Sky”. 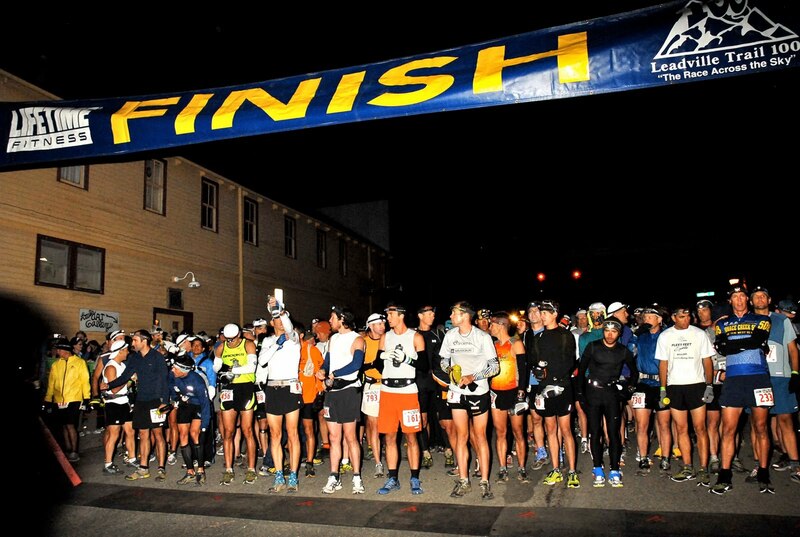 The massive start, with roughly 1,000 runners adds to the excitement and personality of Leadville, making it more reminiscent of the European ultra events where one gets goosebumps from the energy at the start line. I will be racing it myself and my crew will be covering the race for Inside Trail via our twitter account. Hope you enjoy this race preview format in today’s post and remember, please share your opinions! Tim: Of course, this week’s Pikes Peak is a big deal in terms of mountain running in the US (our preview coming on Thursday) but just over the hills, in the highest incorporated town in the US, is the Leadville 100 taking place the same weekend (4:00AM Mtn Time, Saturday, Aug 20). You’ve looked over the start list, Matt, basking in glory from your accurate prognostication last week that Marco De Gaspéri would beat Kilian Journet and the field at Sierre-Zinal; so, who stands out in your mind to take the win at Leadville? Matt: Yes, Pikes. I look forward to that preview in a couple days. My take on Leadville is going to be pretty haphazard compared to the 31k Sierre-Zinal. I’m completely relying on blogs and talking to runners like you who have endured these beasts, as well as studying results. Then there’s that gambler’s intuition, which I’m sure has been informed by my own competitiveness. I’m torn right now. Part of me likes to see Ryan Burch have a break-through race — a lot of people acknowledge this. I think his recent FKT of Longs Peak (3hr 26min) is good news for the Burch camp. I think anyone associated with Nick Clark means business (and I think Nick likes Burch’s chances at PB); but in this case the results don’t support a Burch win, I’m afraid. But who the hell am I? His 2011 is a Collegiate Peaks 50 course record win, Pocatello 50 4th, and 5th at American River 50 among a few other results. 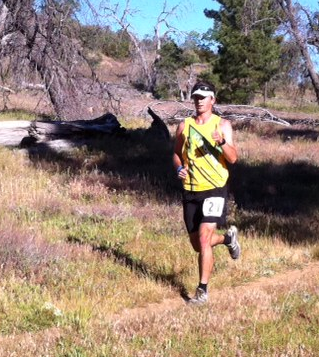 His 100s are: Grand Mesa 2010 (1st, 23:26), Ozark 2010 (4th 21:49) and Leadville twice (’08 26:58 and ’09 20:51). He did win the Leadville marathon in 2010, I think, but I just don’t see enough to pick him to win, other than the “break-through race” factor. So, before I get to my picks, what do you think of Burch? I only have eight listed because there are probably 10 other guys who could legitimately sneak in there. South Africa’s Ryan Sandes is my dark horse pick for the win. Those guys coming from adventure racing backgrounds are monsters in ultras. The women’s field is scarce with the omission of last year’s champion, Liza Howard (just beginning to ramp up her training after a broken foot). I have to go with Jenny Capel from Reno, NV for the win and Leila DeGrave from Evergreen, CO for second. 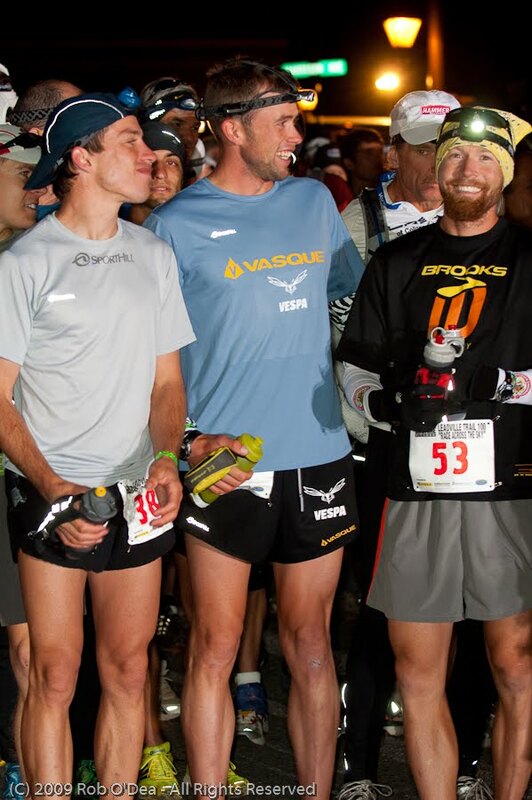 Matt: Indeed, Burch seems to keep raising his game, but running a low 17hr Leadville 100 seems a tall order. That’s a big leap. Roes and Clark are great examples of this kind of improvement, but I guess the big tell-tale for me is the experience at 100. Roes and Clark have been gobbling those up for a few years now. Redundant and final note on Burch: waiting to see him put 2 50milers together in spectacular fashion. I’m certainly rooting for the guy. I like your picks. Tim Parr seems a bit of a mystery to me. But he’s won before. Here’s a case for Dylan Bowman: He just set a CR at SD100, finished 2nd at CP behind Burch and won the Antelope 50. 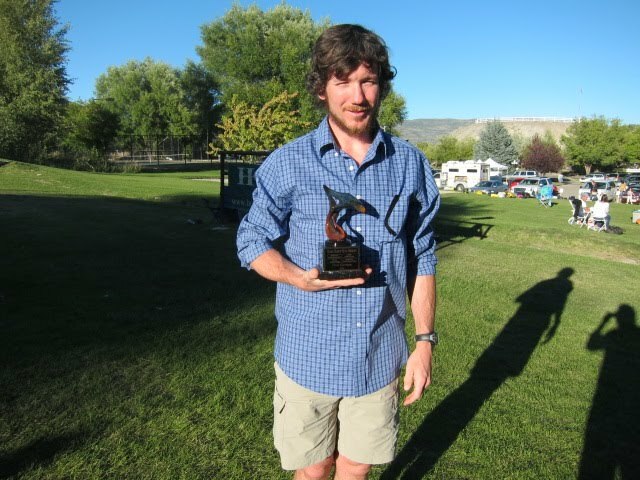 In 2010 he finished 3rd at Leadville, running 18:36 (I think that was his first 100?!). But the kicker is this guy’s ability to improve, to learn from the experience. 3rd at Leadville, then CR at SD100, which, as you point-out, is a tough 100. Lastly, he ran a 7:45 Silver Rush 50 in 2009, but then ran 6:52 to finish 2nd last year. Huge jump and he’s running 100s and he’s podiumed at Leadville. I like Dylan Bowman, too, unless Tim Parr is mysteriously coming out of “nowhere” and running everyone into the ground. Callahan has to be considered top 5 since he seems so consistent, especially at that race, and he just finished 8th at HR100. Personally, I don’t see Browning in the mix for a win. Other than a 2010 Cascade Crest 100 win, which has 20k vert but sits ~5k elv., I see lack of high altitude running (despite the tent) and age (sorry) playing a factor. Tim: Ha! Unless Brownie brings bags of steroids for me, I won’t be doing much other than running my own race. Timmy Parr, like the last time he ran LT100, will probably run people (who go with him early) into the ground for the first 70 miles, then the wheels get wobbly. The difference is there will be a larger group of others ready and capable to pounce this year. Neal Gorman was my boy last year! Setting the Grand Slam record in impressive fashion with consistent fast times and high placings. I think by Leadville last year his hip was hurting him and he still ran a fast race, so he’s a tough nut to crack. This year he seems more focused on the individual efforts and it’s showing in his results. He’ll definitely be in the mix for podium in my mind. Poor Duncan Callahan gets overshadowed again at Leadville. Let’s see whether he can stay patient as usual and sweep in to tag the red carpet first once again. He owns the race – he’s the returning champ, but this year is packed with competent competition. Rod Bien is insistent on Jeff Browning. Says he’s been “in an altitude tent for the last 6 weeks…” Browning is one tough, fast guy that I would never want to tangle with (if I were at his level) in 100 mile races. He’s a fierce competitor. I would be surprized, though, to have someone living below 5k feet win Leadville. Like we discussed, it’s what makes Leadville difficult compared to true tougher courses like San Diego 100 (the new course where Bowman just ran 18hrs flat for the win). Someone, like Bowman’s (living at 8,000 ft) time can be extrapolated from San Diego’s relatively low altitude course and a projection of performance can be made for Leadville because altitude is a non factor for him. So, Bowman at 18hrs at San Diego equals 17hrs at Leadville. 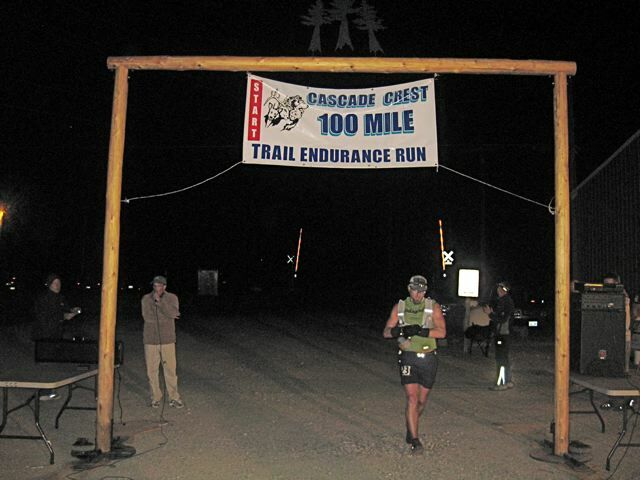 Browning at 18:31 (screaming time) at Cascade Crest 100 equals 19hrs at Leadville because of the altitude. Does that make sense? Matt: Yes it does though I certainly couldn’t have come to that myself. Another reason to like Bowman’s chances. And I do agree with your sentiments toward Callahan. I’m rooting for Callahan because, like you said, he seems overshadowed and he’s won the damn thing twice. One of the guys casting a big shadow is the South African Ryan Sandes. I don’t have too much insight here. He’s with Solomon, he finished 3rd in the North Face 100K race in Australia that Kilian Jornet won prior to winning WS100. I guess the problem I see here is related to experience: at the 100 mile mountain distance (not exactly a multi-stage adventure race) and at that altitude. The guy looks impressively togged, running in a variety of exotic locations and racing quite successfully. But experience seems a big factor. Granted, he did some high elevation climbing recently at The Zugspitz Ultra, where he finished 3rd. This takes place in the German Alps with, I think, about 17k ft. of vert. However, in one report I read Sandes admitting, “There were a few times when running up a 1200m climb that I thought to myself bring back the heat, sand and flat of the deserts.” I hope he was kidding! So, officially I like Parr for the win and Bowman and Gorman filling out the steps. That’s with my head. Burch is my dark-horse in dramatic fashion! What do the rest of you mountain running fans have to say about this big race? The forum is open! Remember to follow @Insidetrail on twitter for live race day coverage at the Leadville Trail 100 (#LT100). Yea don’t underestimate Bronco Billy. I think he has a new child and had an injury last year but he has finished in 1st place in something like 7 of the 10 hundreds he has done. Great stuff here guys. This should be a podcast damn it. Sandes is NOT a dark horse though. Yeah, the Sandman is gonna surprise some people and another international Salomon athlete just might win another big US 100 miler. He’s obviously still learning (I think TNF Australia and Zugspitze were his first two 100ks) but at Zugspitze he was “only” 23min back from Heras in an 11hr race and he’s been training at altitude in Leadville for more than a month now. My gut feeling is that he can tough it out with the best of them, and that’s always the deciding factor past the 100k mark anyways. DBow is my pick if Sandes falters. Parr is total wildcard but could also steal the whole show. I hate to be leaving Duncan off the podium, but he seems to be having a rough/inconsistent year and I would be surprised if he won again. As much as I’d like to see Burch have a successful 100–he’s certainly due and I agree his performances have really stepped up in the past year (Jemez and San Juan last summer were break-outs I thought)–it just doesn’t seem likely. Capel seems like a good pick for the women. She had a great run at SD100 and she shouldn’t be to bothered by the altitude at PB. I’m biased though, being from Reno and having the occassional chance to run with her (only briefly, she easily leaves most of us behind!). I like Bronco for the win on the mens side. Totally understand why others wouldn’t but the guy just seems like a pure 100 mile runner. I think Tim said once that he wouldn’t pick Bronco for a 50k or 50 miler but when it comes to the stupidity of this distance (speed being less of a factor) Jeff shines through. I’m looking forward to my own struggle at PB and the reward it will bring. I’ll get watch a lot of this unfold as these speedsters pass me going the other way and it will be exciting. Karl has Schlarb running and no mention of Bowman. Man – no mention of stellar crew for Mr Long… Maybe we need to go back on the market – anyone need crew???? Great coverage – kind of odd not mentioning Anton this year….. Here is a true dark horse: Sweeney. Yeah, if Sweeney drinks a little water this year… He looked good through 50 miles last year. Bowman is too smart to go out fast. I’ve heard Ryan Sandes has been in Leadville for quite a while, like a month. You’ve got a sharp little season going so far, Nick. Have a great run at UTMB! Dylan is still relatively inexperienced, so he could make a mistake. If Sandes has been in Leadville for a while, he should have a real good shot at the win I would think. Re UTMB: Thanks, hopefully I can have a good run. The field is stacked though, so I doubt I will be in the top-20! Good stuff here (and the other recent posts). Burch is a good friend, and while I would love to see him have a great run, 100-milers just don’t seem to be his thing (he also ran Leadville in ’07, so he has run it three times). He should run well, but not sure if he can run in the 17-18 hr range. Concerning the altitude, any word on who has been spending time up high? I believe Gorman has. That could be a factor for Sandes if he hasn’t spent any significant time at altitude. My preductuib – Parr and Bowman take it out hard only to fall apart late. Gorman takes the win with a smart run.